HSM - Is your finger on the pulse? Home> PPE >Gloves >Is your finger on the pulse? Protecting your workers’ hands, fingers, wrists and arms from cuts, punctures, impact, chemicals, skin irritations, burns, needlestick and other injuries is crucial, for both their personal health and safety and for the direct and indirect costs to your organisation. For example, it is very easy for unprotected or inadequately protected hands or fingers in the wrong place to be crushed or cut due to sharp edged objects or even knives, slipping leading to lacerations to the hand, fingers, or tendons. Any of these hand injuries can result in devastating impairment in function, forcing staff to be off sick for extended periods or even to leave their jobs, affecting their livelihoods and potentially the rest of their lives. 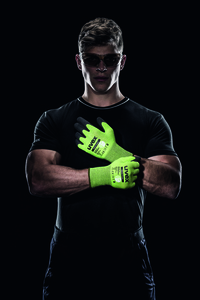 Protection from harm is easily achieved by wearing the right gloves. Despite this, work-related hand injuries are extremely common even though high-quality and highly effective hand protection is readily available. However, the right type of hand protection must be matched to the particular task being undertaken. Gloves should be selected based on the materials being handled, the particular hazard involved and their suitability for the operation being conducted. 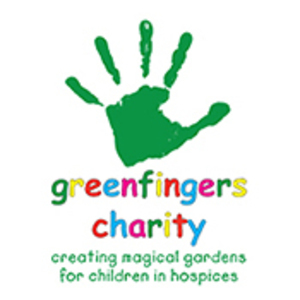 Wearing the wrong glove can be just as hazardous as not wearing a glove at all. There have been enormous advances in recent years in the development of cut-resistant technology and materials, and most health and safety professionals are now aware of the changes to safety glove standard EN 388:2003 mandating more stringent testing. A good cut-resistant glove is designed to prevent cuts and lacerations from blades, sharp or jagged edges on tools and equipment from reaching the skin. At the same time, the hand protection should also protect from punctures – which often turn into cuts and tears, or abrasive applications from wearing through the glove, all critical factors in preventing hand injuries. The hand needs protection from impact, too. A sudden blow to the hand from machinery, hand tools, falling objects or accidental falls cause pain, bruising and swelling, injury to tendons or ligaments, or even broken bones. HexArmor’s impact protection is designed to absorb and redistribute the energy from an impact, lessening its force by up to 80%. The right glove also gives protection against pinch points – places where the hand could get caught between a machine’s moving and stationery parts. The processes in industry or the gloves themselves can sometimes cause or aggravate skin allergies in those who are prone to them, often leading to the worker removing the glove, leaving them completely unprotected or working with discomfort. Gloves such as the uvex phynomic range have passed the independent Oeko-Tex 100 standard, which checks for chemicals that could cause skin irritations. In addition, this range of gloves has also been dermatologically tested and approved by proDERM – the Institute for Applied Dermatological Research – to ensure complete confidence that they are hypoallergenic. Needlestick injuries from hypodermic needles are becoming increasingly common for employees in industries such as the emergency services, recycling facilities and industrial cleaning. The risks from hypodermic needles are extremely serious and may be life-changing. HexArmor’s needle-resistant gloves are proven to reduce needlestick injuries. They work by layering SuperFabric brand materials over each other, blocking and deflecting needle hazards. Handling hazardous substances requires specialist gloves, though no one glove can protect against all chemicals. 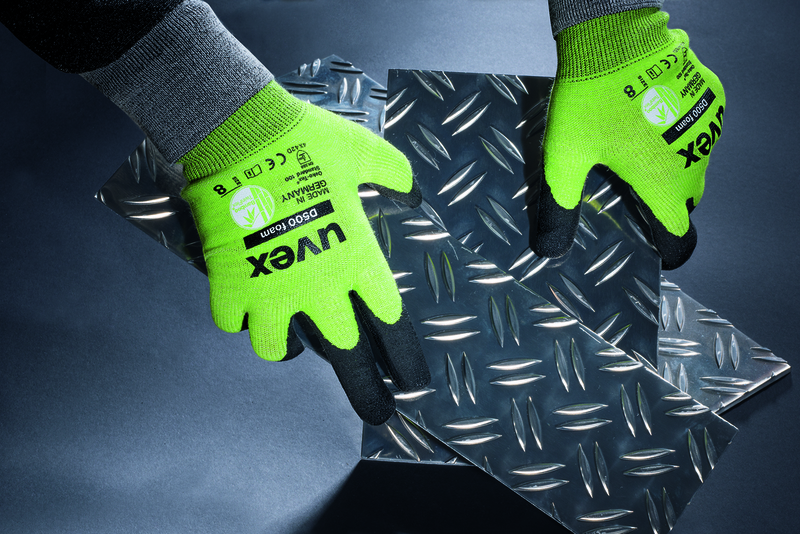 uvex’s Chemical Expert System is an extensive online database that can be accessed 24/7 and calculates glove permeation times and their chemical resistance, to enable the selection of the right glove. Other crucial factors to look for in safety gloves include stability, fit, coatings, heat and cold resistance, dexterity and grip. Ensure your workers remain healthy by partnering with an expert providing a complete solution-provider. 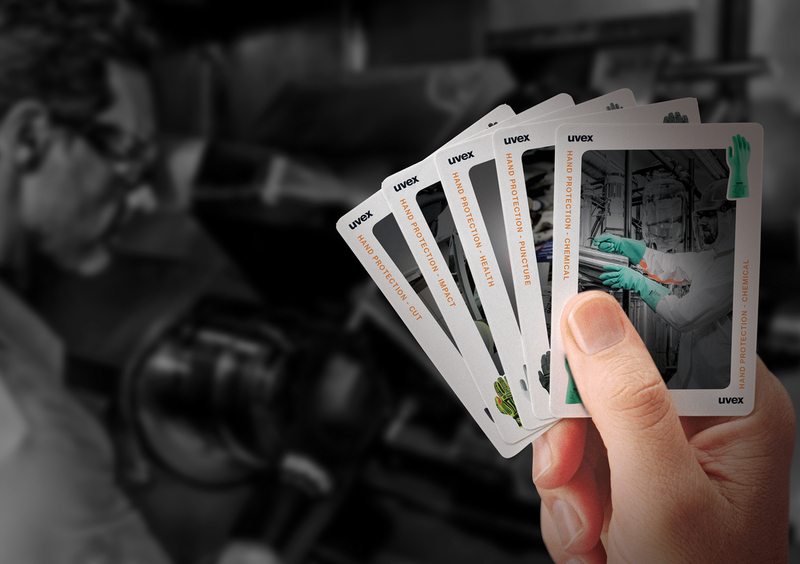 This form of collaborative approach will ensure the best possible hand protection to workplace risk and will keep your workforce involved and engaged, improving the safety culture of the company. 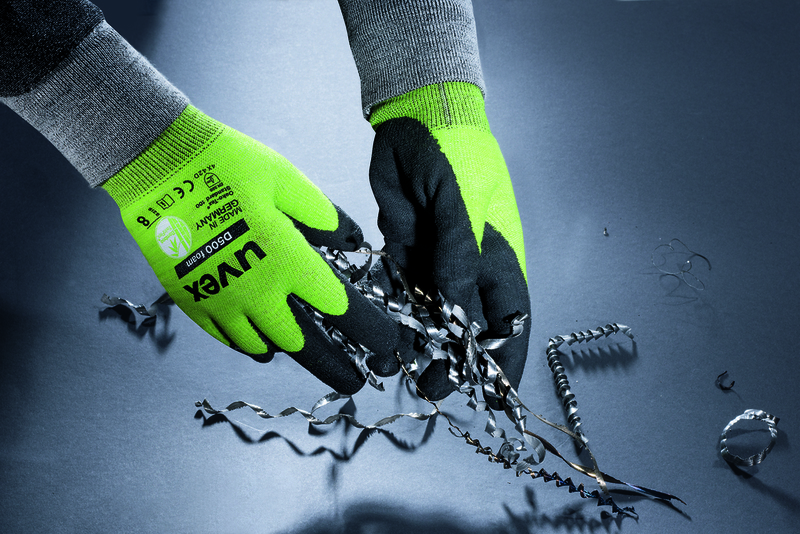 uvex works with your employees providing education and training about site hazards, giving professional, life-long support and advising on a range of hand protection solutions tailored for your workplace applications. If the glove fits . . .